A call to action (CTA) is the process of kindling the customers to take a specific action which will generate an action from the visitor converting into a sale, lead or some other metric of value. It might be any action starting from making customers buying products to making them sign up for a paid service. It is simply impossible for a website to survive based on number of regular visitors and the ad income generated by them. It is important to convert each customer into a potential revenue generating client to gain competitive advantage over others. It was traditionally believed call to action is applicable only to the ecommerce stores. Since, these sites depended upon the revenue generated by the customer purchasing the product rather than ad revenue they gave ample importance to building a buying customer base rather than people who just browse through different objects for a long time. The call to action scenario quickly spread to other websites too. The near disappearance of static websites and the enormous boom in blogs which makes the corporate companies view websites as their main revenue generating channel rather than an information providing page is the main reason for this. Here are a few impressive call to action pages and a few non working, outdated techniques. Besides, an effective call to action (CTA) button is required to be placed in every page. Navigations button like back and home have nearly gone out of fashion. The only buttons appearing distinctly to the customers are the call to action buttons. 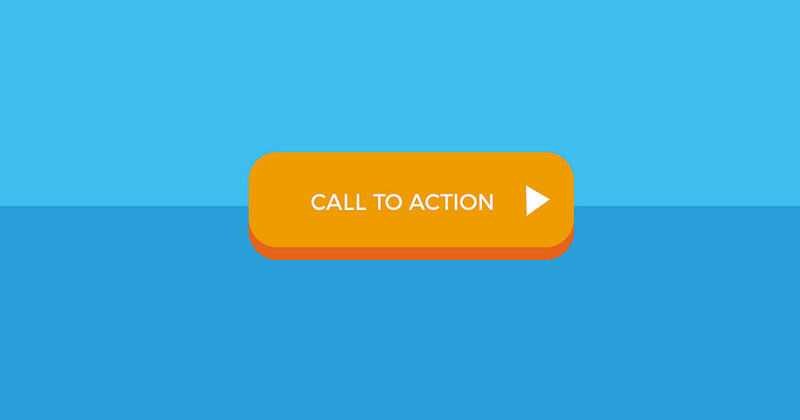 Effective Call to action button triggers the customers visually and content wise. They show the physical picture of the object, explain its benefits in a catchy but short way and prompt the customer to buy it immediately. They create a sense of urgency to increase the demand for the product. For example, the website may show a timer proclaiming the sale is available only for the next 24 hours. The clock ticking constantly showing the time available to purchase the product decrease by every minute makes the customer believe they will never be able to set their hands on the product again at such a low price.